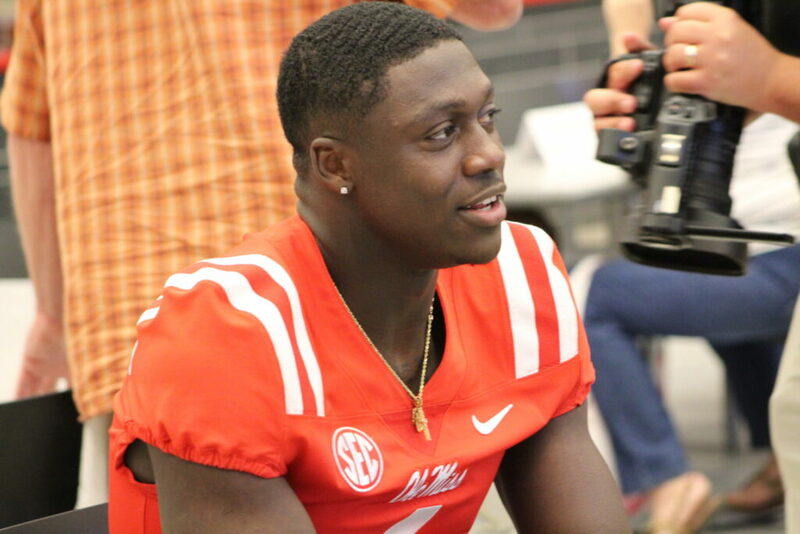 Ole Miss WR A.J. Brown is headed to take part in the NFL Scouting Combine. Photo by Steven Gagliano. Nine former Ole Miss players have been invited to the 2019 NFL Scouting Combine for the Feb. 26 – March 4 event at Lucas Oil Stadium in Indianapolis. Former Rebels’ A.J. Brown, Dawson Knox, Greg Little, DeMarkus Lodge, D.K. Metcalf, Javon Paterson, Jordan Ta’amu, Ken Webster and Zedrick Woods will all showcase their skills through extensive series’ of drills, workouts, interviews, testing and measurements in front of league scouts and personnel who will help them achieve the goal of hearing their named called in April at the draft. Ole Miss has the second most invites from the SEC and tied for fourth-most among any other school in the country. The NFL Scouting Combine (National Invitational Camp) is organized and operated by National Football Scouting, Inc. More than 600 NFL personnel, including head coaches, general managers, scouts and medical staff representing all 32 teams, will attend the Scouting Combine and evaluate more than 300 of the nation’s top college players eligible for the upcoming 2019 NFL Draft. Ole Miss fans can follow these players along the way at www.nfl.com/combine as well watch all the live coverage on the NFL Network March 1-4 starting at 8 a.m. CT.